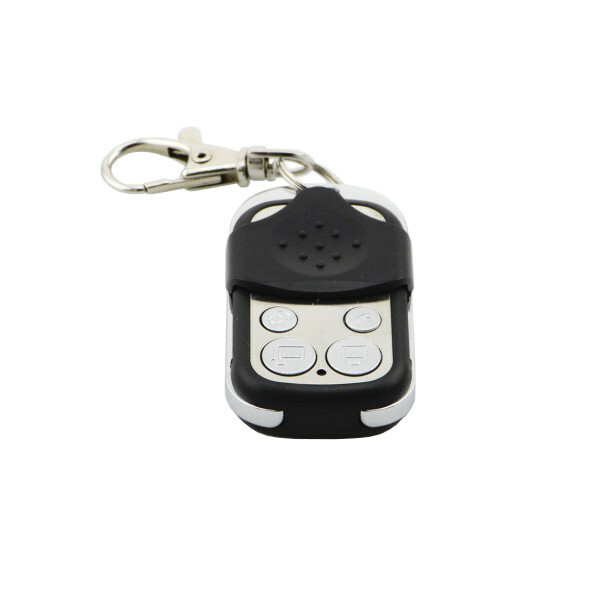 The Wireless 315Mhz RF Remote Control Keyfob is a small radio transmitter with four user definable buttons. This battery operated metal keyfob provides a strong RF signal transmission with low power consumption. It has four buttons that can be used to transmit command codes to a compatible receiver. This keychain sized wireless transmitter uses an SC2260-R4 chip to encode the RF commands. This encoder chip is compatible with receivers based on the SC2272 and similar decoder chips. This tiny keyfob is powered by a small 27A 12V battery. It uses less than 10mA of power to transmit at about 10mW for an open range of about 40 meters. This keyfob is compatible the Wireless 315Mhz RF Receiver Shield for Arduino.